Like most of the best web tools and ideas in general it is very simple. 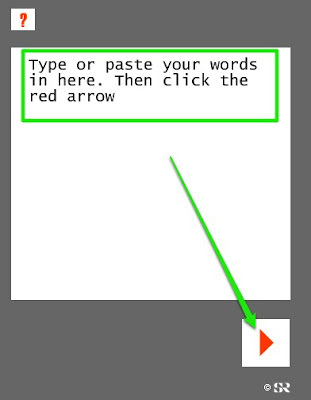 You type words into a field, click a button and then you can hear the words being sung. You can them email a link to the song to yourself or a friend and then paste the link into a workheet or blog page etc. The site generates the song through a huge dictionary of audio clips from famous songs, so the song is a collection of some of the worlds singers with each word by a different singer and from a different song. It's just such a wonderful idea and so quick to use. 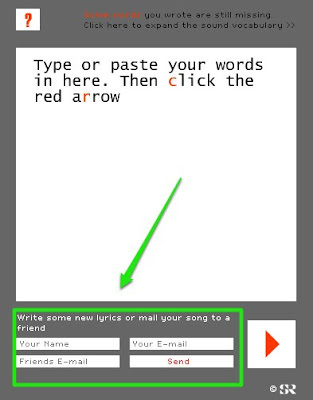 You can get your students writing songs, short messages etc. You can copy and paste in lyrics of songs (you can find lyrics here)and get your students to listen and try to guess what the original song was. Try this one. Not all of the words are included in the database, so the site will put in words that have some of the same letters. You can use this by printing up lyrics for your students and getting them to listen and circle where the mistakes are. Thanks again to Larry for helping me to rediscover Let Them Sing It For You one of my favourite tools.